Paint for external application – water dispersion, polymers, resins, optical brighteners, dispersion, mineral fillers and additives. 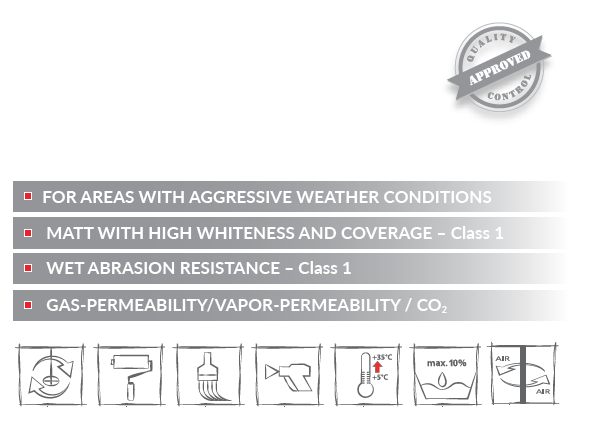 Antibacterial paint for external application – guaranteed sustainable protection against aggressive atmospheric conditions of high humidity and temperature. Creates crack resistant and flexible layer through which the moisture could not penetrate, regardless of the temperature changes of the environment. It provides strong wear resistance to washing and rubbing. 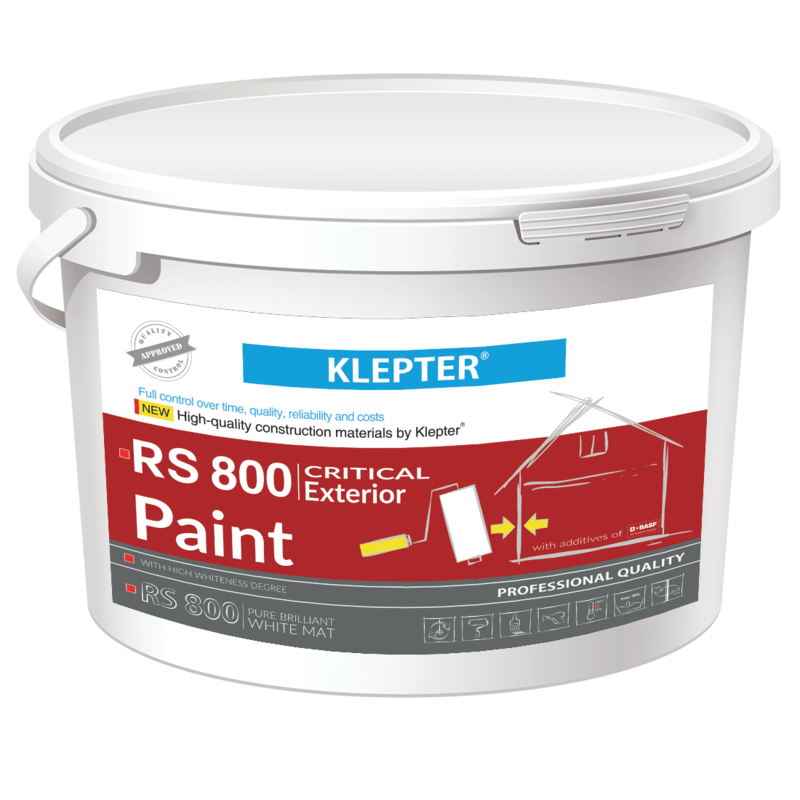 The paint can be applied on all types of plasters and putties, wood, plasterboard, fiberboard, primed metal surfaces and old water dispersion paints.